Kenneth P. McDuffie has been a partner at Nall & Miller for the past 22 years. Ken has extensive experience in the practices areas of Professional Liability (medical and legal), Governmental and Constitutional Liability, and Business Litigation, including business disputes and torts, consumer and business class actions, and federal RICO cases. Throughout his career, Ken has handled cases in fifteen states, trying numerous cases to jury verdict, including cases arising from vehicle collisions, premises defects, professional malpractice, employment discrimination, business torts, and domestic relations. Although he has represented both plaintiffs and defendants during his career, Ken now specializes primarily in the defense of constitutional and civil rights claims, medical and legal malpractice claims, and other professional liability and licensing matters. 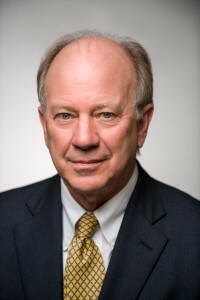 Ken graduated from Mercer University Law School in 1976 and began his legal career with Georgia Legal Services. In 1980, he founded the firm of Martin & McDuffie and later joined Nall & Miller in 1986.